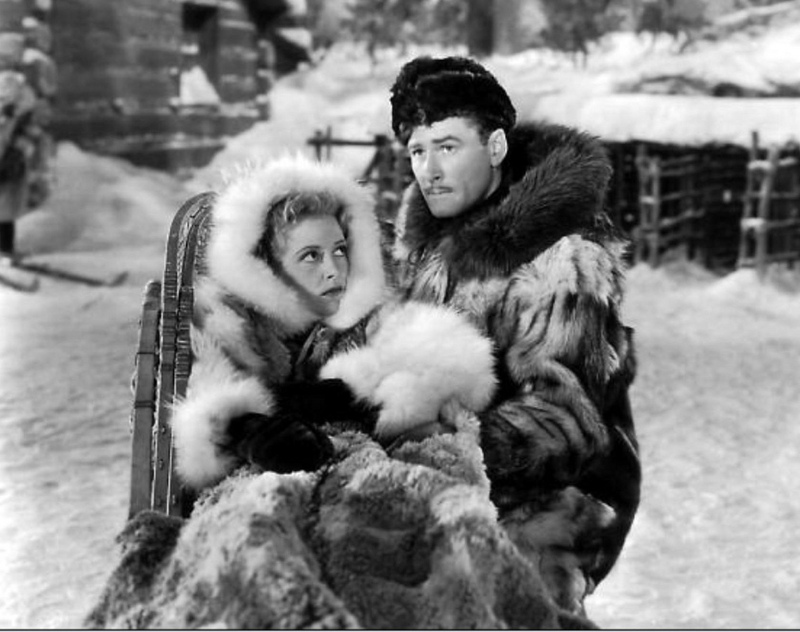 NORTHERN PURSUIT comes at us from the depths of 1943 as Errol Flynn polishes offs some more Nazis, this time up around Hudson Bay. Suave head-baddie Helmut Dantine is in the frozen North to blow up some vital locks, treat lessers with haughty disdain and make sure all stragglers are promptly ‘dispatched’. Flynn, in a low-key this time, is on hand to infiltrate the German saboteurs, romance the bland Julie Bishop and pretty much free up this front so John Wayne could concentrate on the Pacific. Was probably a fair actioner back when; pretty mundane to sit through 94 minutes today. 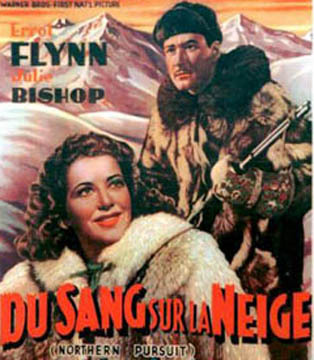 Directed by Raoul Walsh, it has a cool avalanche scene near the beginning, some outrageous heroics at the end. Super-quick buffs may spot a young John Forsythe driving a truck in one bit (he was 25, his movie debut). 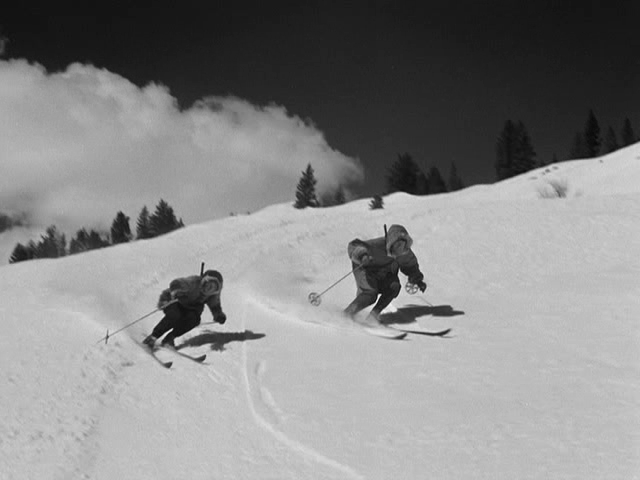 With John Ridgely, Gene Lockhart and Tom Tully, it skied into spot #57 for the year.